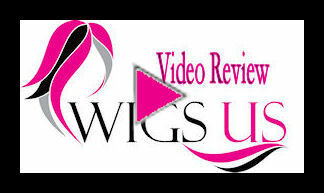 Tonya by Wig America – Beauty is in the numbers. At 25 inches in length, the Tonya style by Wig America should rank highly then. Long, straight hair comes down the middle of your chest, with luscious layers filling out the look. The bangs come sweeping across to add that signature style you'll grow accustomed to. With so much hair, you can trust that your styling abilities will be stretched to the limit. Experiment with a wide array of new looks that you can perfect with your new hair. The synthetic fibers being used with the Tonya provide a natural look that can be styled easily. Place your hair up, or brush it down, the choices are all yours. Feel great wearing this wig when you’re out experiencing life. The average size cap features an adjustable strap. Heat and moisture take a backseat to your comfort as you go about your day in style. Many colors available to select from. Choose yours today, at the lowest price we could offer. This is a great looking wig. But after wearing it for a week it looks like it already needs to be trimmed about 6 inches. The hair is all frizzy from lightly combing it with a wide tooth detangling comb. I am so careful about combing wigs. I have 8 wigs total and have been wearing them for 2 years. The fibers are not good at all. This wig is defective and I do not hold Wigs US responsible for this. It is the MFG. This is my 4th wig. I had to have this one as it is so pretty and it does not look like a wig. Great site for prices and selections. Very pretty and love the color-#22!! 2nd buy and looking forward to my 3rd!! So many styles! !